Malawi’s former president, Joyce Banda, has again denied any involvement in the Cashgate, the plunder of public resources at Capital Hill, saying she has evidence the corruption scandal exposed under her watch in 2013 had started during the Democratic Progressive Party (DPP) regime before she became Head of State in 2012. Joyce Banda says her conscious is clean on the sale of the presidential jet. JB, as Banda is widely known by her initials, has withdrawn from the presidential race in the May 21 2019 Tripartite Elections and instead endorsed Lazarus Chakwera of Malawi Congress Party (MCP). Speaking at a joint news conference in Lilongwe on Monday to reaffirm the MCP-PP alliance, Banda said the issue of Cashgate has been repeatedly spoken about and that she has made it clear that she played no role. She argued that prior to Cashgate, the K236 billion theft happened between 2009 and 2012 when former president the late Bingu Wa Mutharika was in charge, saying she has a letter written by former Reserve Bank of Malawi governor Perks Ligoya to late president Bingu about the financial malfeasance. According to Banda, there must be a stubborn link between the K236 billion scam and the Cashgate which upon being alerted when JB was in power, she publicly announced she would crack down on all thieves. Later, with the help of the British government, she instituted a forensic audit, which was carried by the British-based RSM (formerly known as Baker Tilly) audit firm. “Following the audit, many people, including top public officers, were arrested, prosecuted and convicted in connection with cashgate,” she said. But Banda told reporters that she was “gagged” by Chief Secretary to the Government Lloyd Muhara through a letter, from disclosing any information she was privileged to access while serving as President of Malawi between April 2012 and May 2014. In a letter dated June 21 2007 seen by Nyasa Times, Muhara reminded the former Head of State on the need to adhere to the oath of secrecy that required both current and former presidents, members of Cabinet, current and retired to observe secrecy and confidentiality. “I wish to highlight that the Oath of Secrecy that Your Excellency undertook when in office is still binding even after Your Excellency relinquished your duties as the President of the Republic of Malawi,” reads in part the letter. The former president said she was warned that a crusade against corruption would ruffle feathers and make enemies, but she was determined to stay the course. Banda said all talk about arrest and whatever has been, were mere political ploy to scare her away so that she should not return to Malawi to contribute to the political, social and economic development of the country. One year since she returned home Banda has not been arrested or even questioned by law enforcers despite earlier political pronouncations that there was a warrant of arrest for her. During the news conference, a journalist asked Chakwera if he would pursue a probe into the sale of the presidential jet now that Banda is supporting his presidential bid. 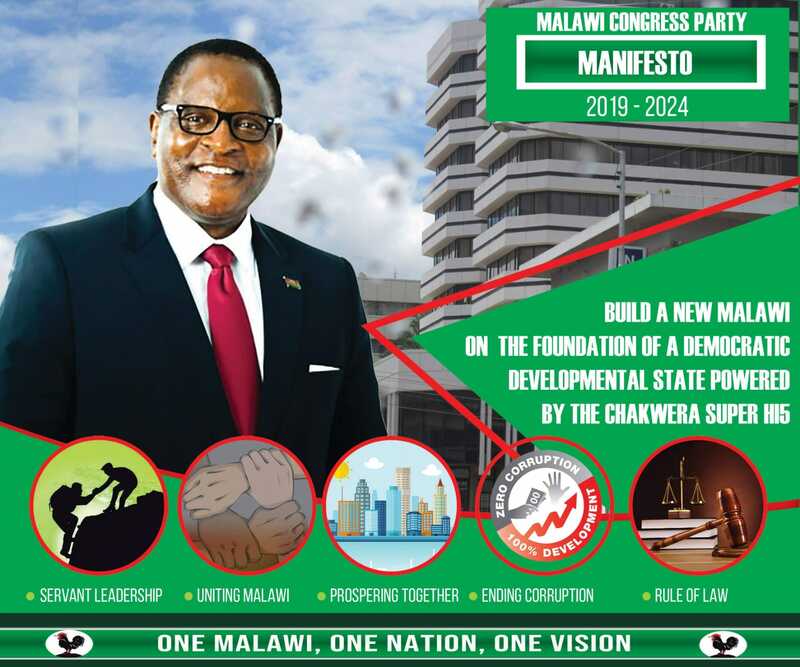 In response, Chakwera said if elected as President, he will not investigate or persecute anyone involved in jetgate scandal but will let the “able organisations to do their work”. He said: “We have cases in this country where our former Heads of State have been taken to court but up to now the cases are not completed. Taking her turn, Banda said her conscious is clear on the sale of the presidential jet. Banda said the jet was sold after Cabinet approved and then Office of the President and Cabinet (OPC), which was headed by Bright Msaka (now Minister of Education), facilitated the sale of the jet. “There is no [State asset] bigger than the plane that can be sold without Attorney General signing [the deal],” said Banda. She said the Attorney General who signed the sale approval and the then Chief Secretary to OPC were still around. “I am very, very comfortable about that issue. I am one person who believes that I served my country well,” she said. The $15 million (about K6.3 billion) proceeds of the jet sale never went into government’s consolidated account and instead the Attorney General facilitated the transfer of the funds from Bohnox Enterprises, which bought the jet, to Paramount Group, its mother company. Since Banda left government, the DPP government has been making secret payments to Paramount Group, the company that purchased the jet, attracting the wrath of the International Monetary Fund (IMF) in the process as the move breached conditions of the Extended Credit Facility (ECF). The move also prompted IMF managing director Christine Lagarde to write Finance, Economic Planning and Development Minister Goodall Gondwe and Reserve Bank Governor demanding answers. The Mutharika administration, which previously said it would cancel all government contracts the company signed during the Banda regime, paid Paramount Group about K15 billion (about $23 million) for the same. There were no indications at Treasury that a probe took place. Mwati mibwera ndi helo kopta pa ma rallies mukope anthu pamene inu mukugona pofewa ,mapwando mondy to friday simmakumbukila nao anthuwa nde lelo muli kubwera helo? Fundo zanu mukawauzila from helo? Omwe akupaptsani helo ni vitsilu vofuna kubweretsa cipwilikiti pakati pathu. Mmumapita kunja kukawanamiza with dress and address to impress yet those dudes dont know how we are suffering under the hipoccricy ideology. Chilima and the UTM carries a day everyday! UTM is for a real change towards developing Malawi. Chilima rocks!!!!!!!!!!! Looking at what JB says in this article Muhara was ruling Malawi during JB’s tenure of office. Shupit Jesbel abiti Mtila, you feared Muhara? You were taking orders from Muhara? rubbish woman. Whether there is evidence or not linking abiti Mtila to cashgate and jetgate Chakwera has just lost my respect and my vote! End of Chakwera.. jb is a corrupt woman. All she is doing is to find employment for his not intelligent son. She is doing exactly what Bakili has done for his son. MCP will regret. Malawians have not forgotten how state resources were abused during her time. Kumapita ndi ma bodyguard kumowa. Sic. I will now vote for DPP. This is the new MCP, fully employed to do the PR (Public Relations) of PP and Joyce Banda. Now Dr Chakwera is busy defending cashgate, explaining jetgate and housing thieves while leaving the real bona-fide MCP members in the cold. Now l see why the Nkholokolos were crying foul, they were right all along. MCP is now a den of iniquity, a brothel for political prostitutes and has lost its moral campus.